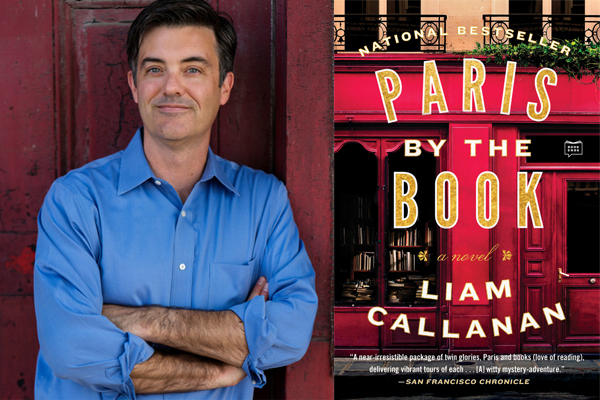 Award-winning author Liam Callanan is coming to An Unlikely Story to discuss his nationally bestselling novel, PARIS BY THE BOOK, now available in paperback. Spend the evening with Liam as he talks about his wildly successful novel, now an Indie Next Pick, which tells a spellbinding story of love, loss, discovery, and reinvention. Once a week, I chase men who are not my husband…. When eccentric novelist Robert Eady abruptly vanishes, he leaves behind his wife, Leah, their daughters, and, hidden in an unexpected spot, plane tickets to Paris. Hoping to uncover clues—and her husband—Leah sets off for France with her girls. Upon their arrival, she discovers an unfinished manuscript, one Robert had been writing without her knowledge…and that he had set in Paris. The Eady women follow the path of the manuscript to a small, floundering English-language bookstore whose weary proprietor is eager to sell. Leah finds herself accepting the offer on the spot. As the family settles into their new Parisian life, they trace the literary paths of some beloved Parisian classics, including Madeline and The Red Balloon, hoping more clues arise. But a series of startling discoveries forces Leah to consider that she may not be ready for what solving this mystery might do to her family—and the Paris she thought she knew. Liam Callanan is a novelist, teacher and journalist, whose first novel, The Cloud Atlas, was a finalist for an Edgar Award. Winner of George W. Hunt, S.J., Prize for Excellence in Journalism, Arts and Letters, Liam has published in The Wall Street Journal, Slate, The New York Times, The Washington Post, and The San Francisco Chronicle, and has recorded numerous essays for public radio. He has taught for the Warren Wilson MFA Program for Writers and the University of Wisconsin-Milwaukee, and lives in Wisconsin with his wife and daughters.